Analyst Michael Pachter claims that Uncharted 2 sales did not fare well in November, perhaps due to MW2 and Dragon Age. In an interview with Critical Gamer, Michael Pachter stated that he was perplexed as to why Uncharted 2 did not sell many copies. 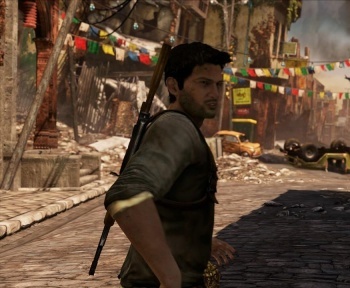 He claimed that the title has only sold 650k units in the U.S. so far, a big drop off from the first Uncharted which has sold over 2.5 million copies. Pachter also reiterated his prediction that Microsoft will introduce a tiered pricing system for its Xbox Live service in 2010. Michael Pachter is an analyst for Wedbush Morgan Securities. "Sales of Uncharted 2 fell precipitously in November, and other than pressure from Call of Duty, it's really hard to fathom why," Pachter said. "I'm sure that the game will get a boost from winning the VGA's Game of the Year, but it's only sold 650,000 in the U.S. so far, which is really shocking given its review scores. I expect God of War 3 to perform better, but am troubled by the relatively lackluster sales of Uncharted 2." I think that Xbox Live subscriptions will be tiered in the future, and expect a modest increase to the Gold subscription. It's currently $50 per year for Gold, and the subscription includes online gaming, Facebook, Twitter, Last.fm, Netflix, photo sharing, video chat, and a few other features. I could see Microsoft changing the Gold tier back to what it was (essentially online gaming and a few chat features), and charging more for a premium tier with the other features. My guess is that we'll see Gold go to $60 per year, and the premium tier go to $100. While the opinions of one financial analyst tracking the videogame industry is hardly set in stone, Pachter has been known to be right in the past like when he guessed in June 2008 that Netflix and Microsoft would be partners He's also made some wildly wrong predictions, such as claiming that the industry as a whole was "recession proof."